Vicki Xin is a current student at the University of Sydney Business School and participant in the 2015 New Combo Plan (Jakarta), an Australian Government initiative which aims to expand knowledge of the Indo-Pacific in Australia and strengthen institutional relationships through study and internships undertaken by Australian undergraduates in the region. With Indonesia’s growing strategic importance in the ASEAN region, rich resource base and proximity to Australia, it makes sense to proactively bridge corporate and trading relations with South East Asia’s largest economy, especially considering the rise of the “Asian century” (Commonwealth of Australia 2012). Post program closure, I am definitely in accord with the government’s New Colombo Plan initiative to building more salience and longer-term engagement with the South East Asia region within young graduates; after all, a fair few of us (myself included) believed Bali was a country of its own prior to pre-departure training. 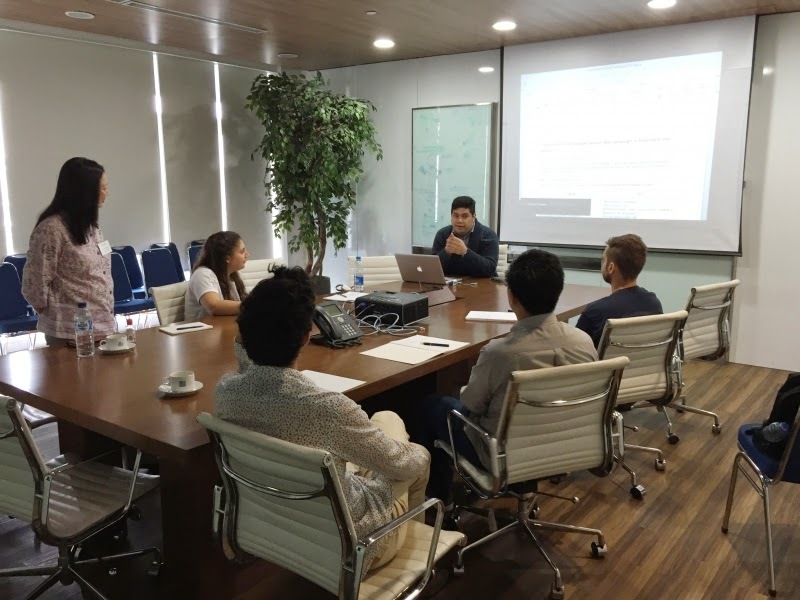 During the second week of the field school, we were warmly received by leading professionals in various global and local firms and exposed to areas of market research, public relations, product and project management, strategy and publications. Among these visits I became increasingly intrigued by Lowe Indonesia CEO, Joseph Tan; Graduate Management Trainee, Andrew Tobing; and Sinarmas International Relations Manager, Cannia Susanto’s decisions to embrace dynamic, fast-paced international careers and the importance of finding your ‘own voice’ within an organisation. Moreover, discussions at Unilever pertaining to the competitiveness and the saturated state of the hair, health care and beauty (FMCG) market appears to be far more challenging than the Australian market, however, such conditions undoubtedly implores more creativity and innovation. Out of all the advertisements we viewed at the Lowe workshop, Unilever’s ‘Lifebuoy Tree of Life’ resonated with me the most; its disruptive message and grand scale emotive appeal is certainly more powerful than most advertisements aired and geared towards the Australian market. Prior to these industry workshops, I was never exposed to the idea or possibility of working in Indonesia, however, I now feel challenged to assess how much of the concepts and knowledge I have learnt in my Business degree at the University of Sydney would be relevant and applicable in the Indonesian region or South East Asian context. Reflecting on this experience, I felt a heightened degree of cognitive disruption towards how often and quickly I used my own biases and automatic assumptions to determine how I feel about certain industries and career paths, and that these biases and beliefs are inevitably difficult to challenge or change. This sense of “felt difficulty” (Dewey 1933 cited in Carson and Fisher 2006, p. 709) in having a previously unconscious presumption challenged further, prompted me to contemplate how Indonesia has been portrayed in Australian media and how much I have allowed this to unconsciously shape my preconceptions about the country. This further reveals that our assumptions emanate from political and economic institutions, infiltrate our belief system and can only be recognised and contested through the process of reflection. Acknowledging that I have been quite rustic in my thinking, and where good and bad are no longer so clearly defined, means that I will have to re-evaluate many of my other beliefs regarding cultural empathy in the corporate space and the ‘Asia fit’ concept. The field school and reflective assessment component have definitely created disturbances in my thinking and provided a perfect opportunity to reconsider the skill and knowledge gap which I need to proactively fill to prepare myself for potential short-term international work experience. Carson, L. and Fisher, K. 2006, ‘RAISING THE BAR ON CRITICALITY: STUDENTS' CRITICAL REFLECTION IN AN INTERNSHIP PROGRAM’, Journal of Management Education, vol. 30, no. 5, pp. 700-723, viewed 6 February 2015, ProQuest Central, 195721938. 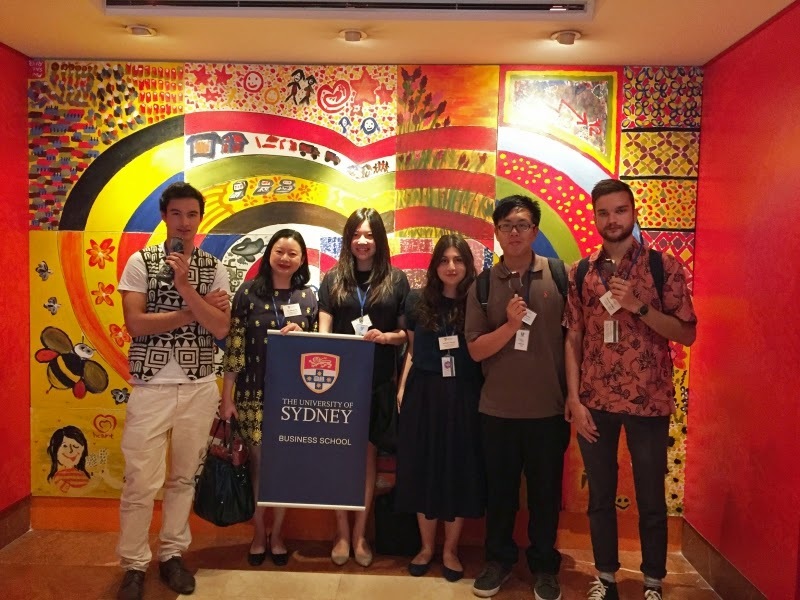 This blog was originially published on Sydney Life: Student experiences at the University of Sydney.